CHUTE ADVANCED MEDIA ARTS - Quentin H.
I am proud of everything I have learned in photography and cinematography. I learned a lot of photoshop and scratch techniques. Probably the stuff I helped with Shrek. I would have liked to have tried some type of timelapse photography. Being able to have freedom of creativity and go wherever my mind takes me. I would teach lessons once or twice a week, like for example, the basics of photograph, like exposure (Shutter, Aperture, ISO). I enjoyed the trip because we got to walk around the ark and have fun in the park, I also liked the "surreal" painting on inequality and racism. I was displeased with the extremely expensive art that was just stripes and one-colored canvases, or paintings with just random scribbles. I did enjoy many of the sculptures on the lower floor that were from Vietnam though. There was also an cool painting upstairs in the staircase. I did several projects including a Photoshop project and took a lot of photos. -Put things in other pictures, without it looking unnatural or out of place, which can be extremely difficult at times. ​-I also learned how to paint things realistically in Photoshop. I have finished my previous project and have begun a snowflake photography project, where we take macro photos of snowflakes. As of now we are still researching how we will do this. We are also planning to do some winter photography of the school. We also need to find out what equipment we will need to do the snowflake photography, as this usually requires a ring flash and potentially a different lens. We plan to use a Nikon 5500D with a Nikon DX 18-55 mm lens for the winter photography and we will probably use the same set-up for the snowflake photography. 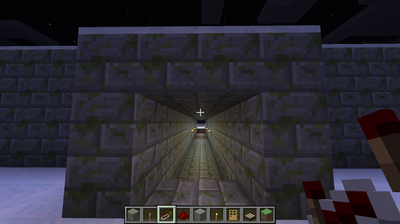 I am now working on a stone temple in Minecraft featuring extensive redstone circuits. 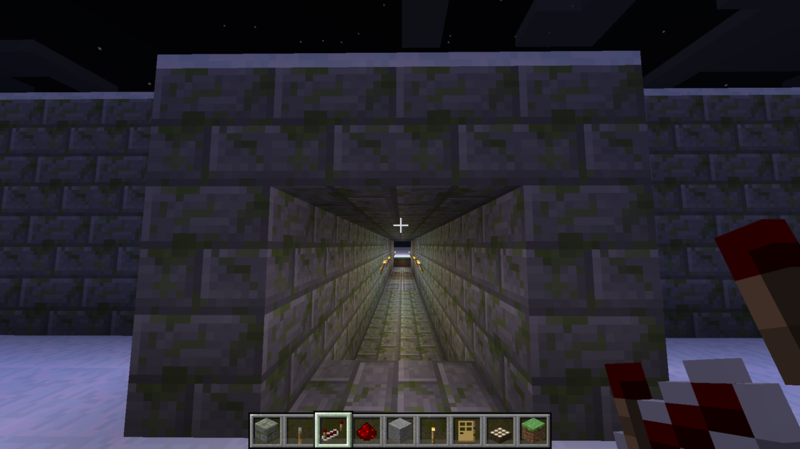 I have challenged myself to learn how to make advanced red stone mechanisms, which I had rarely done before.